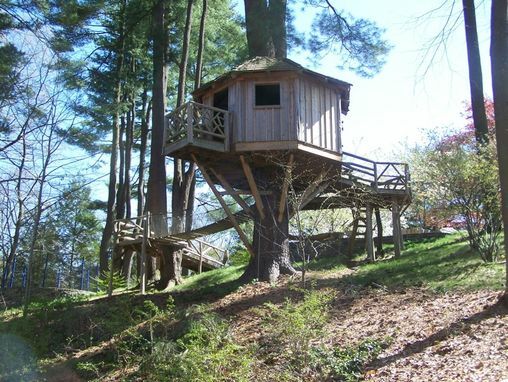 Treehouse designed to fit this particular tree . Ramp and cable bridge connect .to other trees. It has survived some significant storms.